I’ve run the Disney Princess Half Marathon in Orlando and I didn’t love the course. I’m also not a Disney fanatic at all, but there’s something about the Coast to Coast medal that appeals to me. Maybe it’s the travel aspect! Last night I did not knock off any bucket list items. My run was HARD. Even at an easy pace I felt like my breathing was labored and I even took a couple of walking breaks! My legs felt like cement bricks too. Every bad run is followed by a good run, right? I’m looking forward to a great one tonight! What’s the number one thing on your running bucket list? Has your running bucket list changed over the years? What’s the coolest thing you’ve already ticked off the list? Previous Post Meet Hawking the Cat! Next Post Throwback Thursday: High School & College Pics! Thats a great bucket list! I would be so nervous to run a race without a garmin. Hope you have a great run tonight! I would too!!!! It would be more of a mental test than anything! I’m sure I would be obsessively calculating mile splits whenever I came across a timing mat that had a ticker with it! 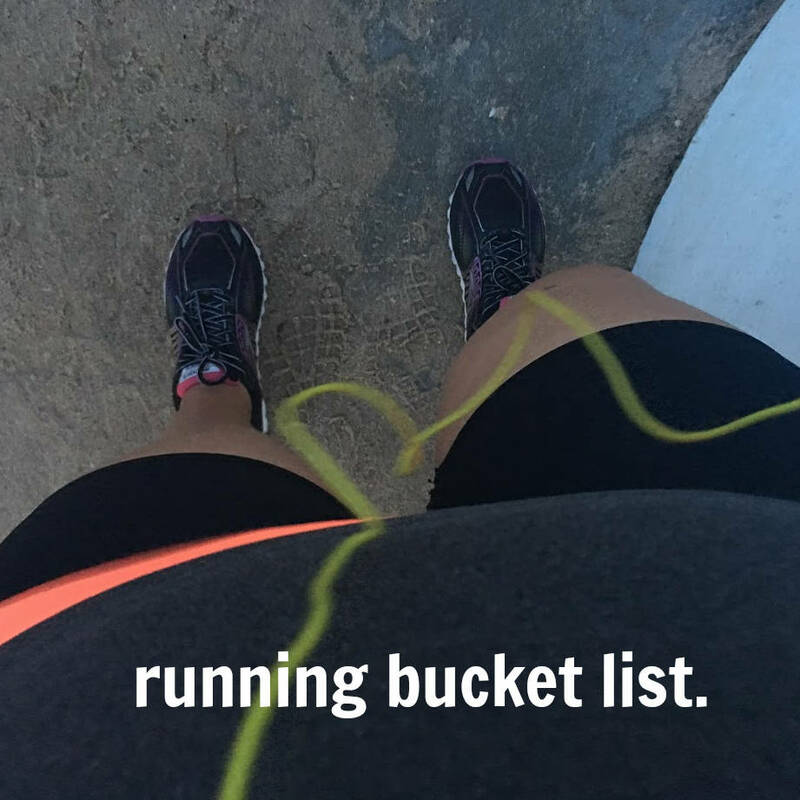 I want to read your running bucket list! That’s a great idea to bring a regular watch! Hahah I will! It just has to be a race I can walk to from my apt. I worry that when I take him out of the car to put him in the stroller he’ll escape and get hit by a car! I know it’s not likely but I can’t risk it! OMG… I want to see photos of you running with Cecil! I’m pretty sure that would be Elly’s version of Hell. You could probably knock a few of those off your list in one race! I want to volunteer at Western or Leadville. I was talking to Frank the other day about volunteering at Leadville next year! You should come out and join us! YES I would LOVE to volunteer at Leadville! The little town looks so beautiful and some of my favorite runners have won at Leadville! I love your list. I think that handing out medals is something I need to do too….at a larger race. I have done it at a small low key event but not a marathon or half where you can see those that just finished their first BIG race. And the emotion that goes along with that. It IS a sign!!! I love that you have sub-groups! So organized!! I would probably be bawling as I placed the medals around the runner’s necks. I cry just watching them from the sidelines, haha. Adam volunteered at my first half. He started off doing Gatorade at the first aid station but once all the runners went by he relocated to the finish line to give out medals – so I got my medal from him! Aww 🙂 Good memories! I would also love to run a sub-2 hour half marathon. I’d really like to run a marathon in Europe — maybe the Berlin Marathon or Paris. Right now getting to the starting line of Chicago healthy and on track is pretty near the top of my (bucket) list. I’ll really have to start re-thinking it again as it definitely has changed over time. If you look into Ragnar, let me know! I’d love to do another Ragnar!